CFI by Signify At CFI, sustainability is everything. In keeping with the highest manufacturing and testing standards in Canada, our locally produced and recyclable luminaires are manufactured using efficient processes designed to reduce waste. Crenshaw For more than 50 years, Crenshaw Lighting has been making decorative lighting fixtures by hand. We create high quality custom chandeliers and lanterns for commercial buildings, historic restoration, places of worship, and private residences. Our mission is to be at the top of the lamp-making craft. EcoPower LED Your one source for LED lighting solutions with 20 years of lighting knowledge, over 400 LED fixtures, retrofits and wired/wireless 0-10vdc controls. LDPI LDPI, Inc. has been manufacturing fluorescent lights and commercial lighting since 1980. From that time, our product line has grown to cover a wide spectrum of applications. LDPI, Inc. has added fixtures from wet, harsh, hazardous and clean room applications, diversifying our specialized line of paint/powder booth fixtures. Rosco Rosco, founded in 1910, is best known for the products it originally manufactured: color filters, gobos, scenic paints and fog products for the entertainment industry.The company now offers products in more than a dozen categories, including LED Lighting, Backdrops and Digital Imagery, Window Control, Image and Effect Projection Equipment, Staging Products, Projection Screens and Flooring products for dance and television studios. Sigma Luminous Sigma Luminous is an LED luminaire manufacturer based in Livonia, Michigan providing LED lighting solutions that deliver premium benefits for their customers – energy savings through innovation. Taylor - Banvil2000 Banvil fans and lighting fixtures provide the finishing touch for a cottage or a castle, and our uncompromising quality is the cornerstone of our reputation. At Banvil we go the extra step to insure that all our products meet the needs of consumers everywhere. Taylor - Envoy Envoy Lighting, Inc. has manufacturing relationships throughout the United States and Asia and offers quality commercial and industrial lighting products at competitive pricing. 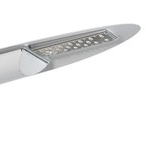 Envoy Lighting offers "Made in the USA", specification grade and retrofit lighting products. Taylor - Lightway Whether the need is for architectural inspired fixtures at affordable prices or more value-oriented fixtures, Lightway offers a wide range of choices that are “manufactured” to exacting quality standards. Taylor - Marketing Energy Marketing Energy (2000) Ltd is a Canadian company that has been operating since 1994. Marketing Energy (2000) Ltd was initially formed to be the buying force behind it's sister company, Taylor Marketing Group Ltd. With the ever changing lighting industry and the need to stay competitive, the company has expanded to research and source our own product brand. Taylor - Select Lighting Select Lighting is the first Concierge Service supplier in the lighting industry. Superior personal service, combined with our comprehensive network of worldwide supplier partners, gives us unprecedented capabilities to provide our customers with the knowledge, comfort and security they are receiving the Right Product at the Right Price. Taylor - Simkar Throughout its history, Simkar has incrementally added different markets to its lighting repertoire, expanding from Residential and Light Commercial to Heavy Industrial, Outdoor, and Sports Lighting. Taylor - TPR Enterprises Established in 1980, TPR Enterprises has become one of the premier LED and Fiber Optic lighting manufacturers in North America with a core group of LED products and a complete range of Fiber Optics.